We introduced a concept digital pen that can automatically turn your handwriting into digital files. 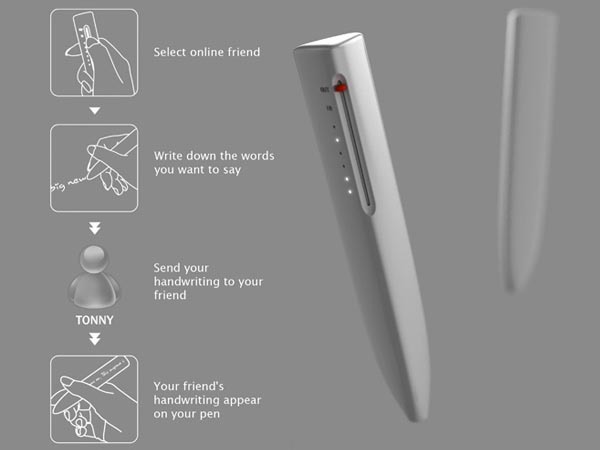 But if you want to send your handwriting to social networks, Handwriting social network digital pen may draw your more attention. 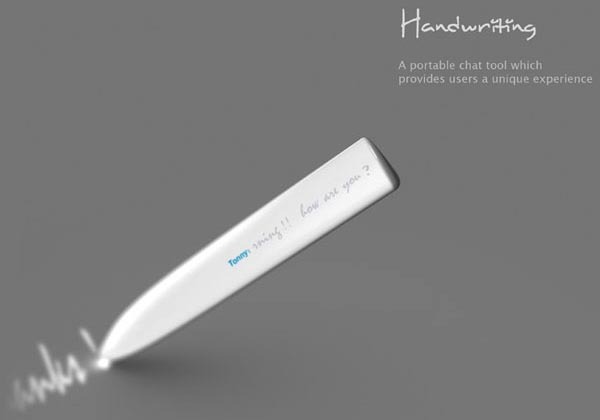 Handwriting is an innovative social network based digital pen design concept designed by REN Fangying. 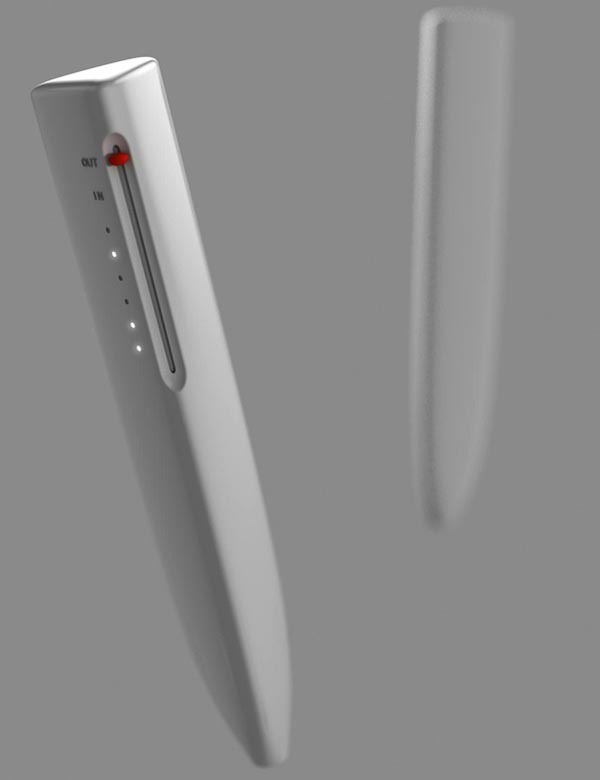 As we can see from the images, the concept digital pen features an elegant and minimalistic design. 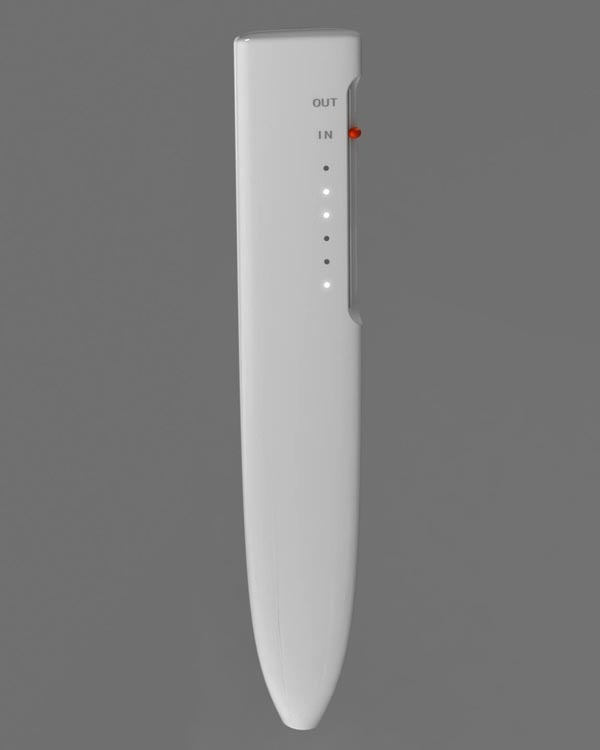 There are photoelectric sensors on the tip of the digital pen in order to record your handwriting and transfer to your friends in your social network account via the Internet for online chat, while those incoming messages will appear on the side screen of the pen. 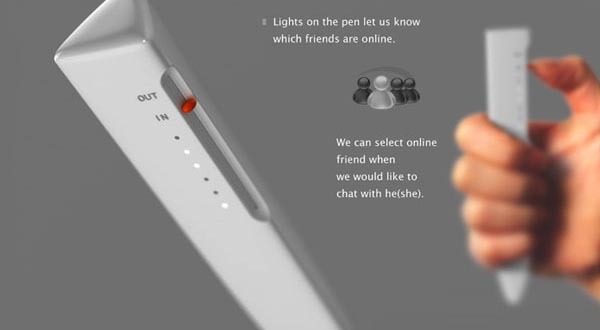 Apart from that, the LED lights on the side of the pen can tell you which friends are online. Unfortunately, Handwriting is also still a design concept. 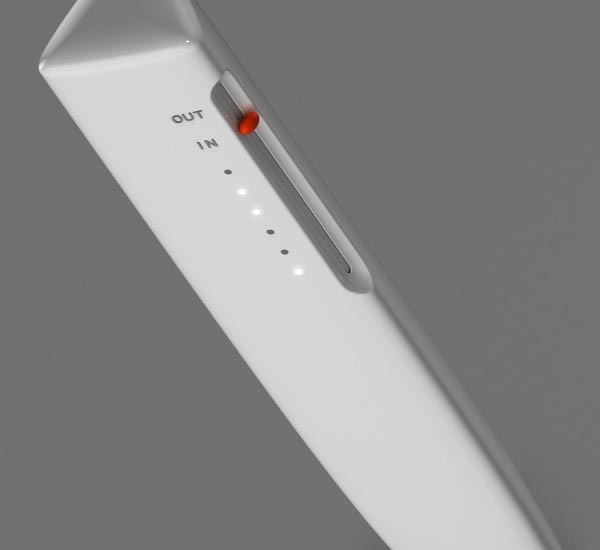 After the break, check out the images about the digital pen.